We dropped in at Disney California Adventure for a few hours this morning to enjoy the Lunar New Year celebration. 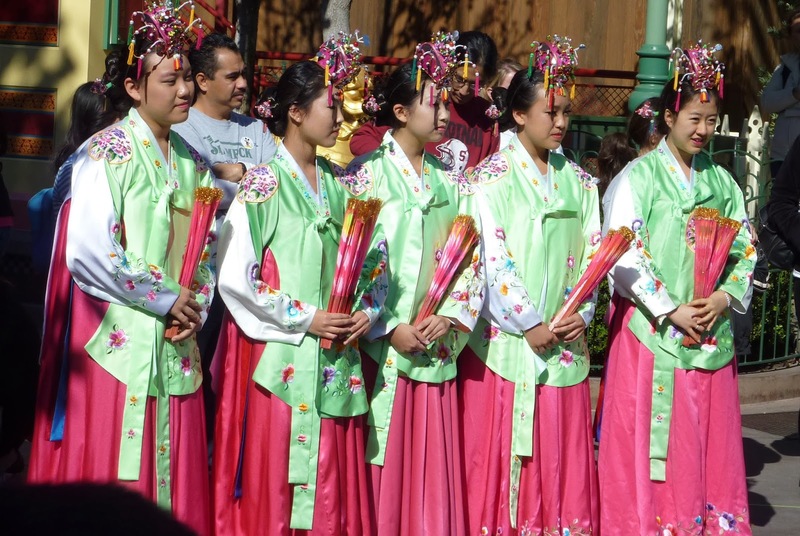 Whereas last year the festival was held on the park's San Francisco Street, this year it moved to the more spacious Paradise Gardens, which was also recently home to the Viva Navidad and Dia de Reyes celebrations. ...and the chance to post New Year Wishes on a "wishing wall." It was a fun morning, including enjoying a couple of rides, and then it was time to continue a busy day, including taking in a couple of films at UCLA's Anthony Mann Festival. More on that later! Previously: Today at Disney California Adventure: Lunar New Year (February 10, 2013); Today at Disneyland: Chinese New Year (January 27, 2012); Today at Disneyland (February 15, 2008).